Looking for a credit card that will give you the most benefits and VIP status of any card available? The American Express Platinum Card will not only earn you rewards, but offers great benefits and perks while travelling. Get travel discounts, airport lounge access and more with this card. For the complete red carpet treatment and an unsurpassed travel experience, The American Express Platinum Card reigns supreme. 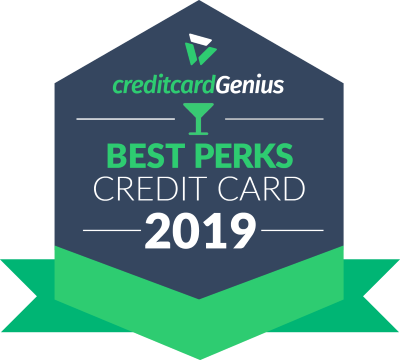 Now, as a rare metal credit card available in Canada with 50% more perks than its nearest competitor and more than double the number of perks of the typical travel credit card (we counted), it's easy to see why it is the #1 ranked perks card in Canada. And while it has an annual fee of $699, you can deduct $200 from that thanks to its annual $200 travel credit, leaving you with $499 to pay out of pocket. Still high, but worth it for the perks and VIP treatment you will receive as a frequent traveller. 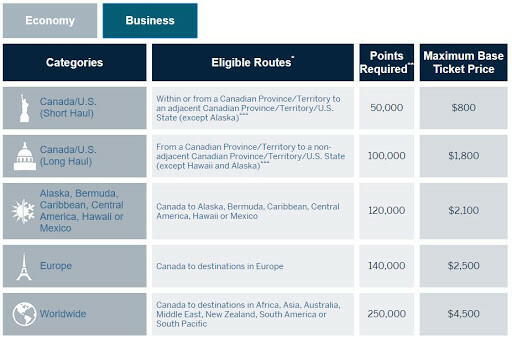 Heck, we estimate the 50,000 point sign up bonus alone to be worth $1,250 when transferred to airline miles – enough for 2 long-haul flights anywhere in Canada and Mainland USA. That's almost 2.5 years of net annual fee (after travel credit) right there. Starting off the list with a bang is its huge welcome bonus – sign up for this card and you'll get 50,000 Membership Rewards points when you spend 3,000 in the first 3 months. The best value for your points is by transferring them to an airline program. 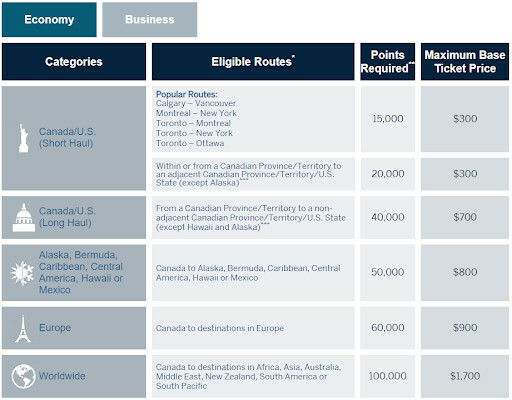 There are 6 options to choose from, Aeroplan being one of the best, where you can transfer your points at a 1:1 ratio. This way, your welcome bonus alone is worth up to $1,250 in free flights with Air Canada. That's 25% more than the next highest standard Aeroplan credit card offer of 40,000 miles and more than double the typical 10,000 – 25,000 miles offers. The next best way to use your points is by using the American Express Fixed Points Chart. This chart will let you use a set amount of points to fly to a set region of the world. You'll have to pay the taxes and fees, but despite that, maximizing this chart will get you a value of 2 cents per point. That's twice as much as the usual 1 cent per point most travel cards offer. Depending on your travel plans, the fixed points chart may be a better option for economy class tickets as opposed to transferring to airline partners. You'll get increased flexibility and get a similar point value. The business class chart doesn't provide any better value than economy. The maximum point value you can obtain is 1.8 cents. If you want to redeem for business class seats, you would be better off transferring to an airline partner. It's relatively easy to get a value of 3.5 cents per point, and redemption options of up to 6 cents per point are not unheard of. Learn more about the Membership Rewards program with our complete guide, including additional ways you can get maximum value from your points. Now, the moment you have been waiting for. Drumroll, please. Earning rewards on your purchases is great, but the real reason you want this card is for the perks. No card in Canada has a list of perks as long as The Platinum Card. It's the reason we crowned it as Best Perks Credit Card In Canada for 2 years in a row. Buckle up and get ready for the not-so-skinny on all these fat perks and benefits. The easiest $200 you'll ever save – with this card, once per year, you'll get access to a $200 annual travel credit. Simply book any single travel booking worth more than $200 at either The Platinum Card Travel Service or American Express Travel Online, and get $200 off your purchase. This credit can be applied towards any flight, hotel or car rental. The only restriction is just to book something that costs more than $200. Note: American Express Travel only price matches hotels. 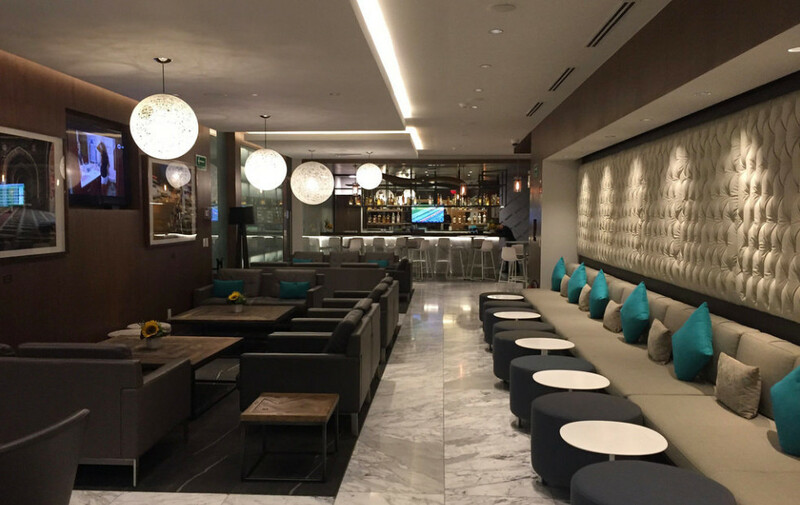 To really make you feel like a VIP, this card will get you unlimited free access for yourself and one guest to over 1,200 airport lounges as part of the American Express Global Lounge Collection. This collection includes all Priority Pass lounges. The collection includes American Express branded "Centurion" lounges which are some of the most prestigious airline lounges currently available. There's a limited number (18 currently), the majority of which are located in the United States. These lounges generally provide the most luxury, comfort and amenities of all airport lounges. In fact, it's the only credit card in Canada (along with its business counterpart) to offer unlimited lounge visits for both you and a guest. Sit in a nice, comfortable chair. Get yourself something to eat (usually hot) and enjoy alcoholic and non-alcoholic drinks for free. Premium brands are often available. Want to get some work done? Most lounges have work stations, computers and printers if you need them. Some lounges even have showers if you want to freshen up before flying. Plus, you won't have to hear constant flight announcements. You'll be able to relax and enjoy your time while waiting for your flight. If you travel frequently from Toronto Pearson airport, you'll get even more awesome travel benefits to improve your airport experience, including complimentary valet parking, parking discounts and priority security screening. First, get free valet parking. Simply show your American Express Platinum Card, and the $25 fee will be waived. Prefer to park yourself? Get a 15% discount on parking as a statement credit when you charge the cost to you card. Once inside, breeze through security with priority security lanes. Save yourself some money and time every time you fly from the airport with your Amex Platinum Card. For even more flight discounts, you'll be able to take advantage of the International Airline Program, which will give you discounted base fares for you and 7 – yes, 7 – additional passengers when you book tickets in first, business or premium economy. There are a couple of restrictions. Travel must originate and return to select Canadian gateways, and savings may not extend to codeshare flights operated by partner airlines. The discount also only applies to the base airfare of the ticket. You are still responsible for any taxes and fees. To find out what a ticket will cost, you have to call the Platinum Travel Service and discuss some itineraries. You also have the option just to receive your quote, and have 48 hours to decide if you want to purchase the flight. To sweeten this deal even further, you'll get some great complimentary benefits while staying at hotels with the Fine Hotels & Resorts Collection. These benefits are worth an average of $550 USD at over 1,000 properties worldwide. To get these benefits, your stay must be booked with American Express Travel through the Fine Hotels and Resorts Collection portal. What are some of these benefits, you ask? $100 in property benefits (benefits vary). Not to outdo itself, American Express also offers The Hotel Collection. Receive up to $100 USD in hotel credits that can be used on amenities at over 600 hotels and resorts in 30 countries. Similar to Fine Hotels And Resorts, your stay has to be booked with American Express Travel in The Hotel Collection page. Use your credit for things like dining, spa, golf or hotel facilities. Plus, get a complimentary room upgrade at check in when available. So, all these hotel benefits are great. But how do the prices of these hotels compare to others? We test booked a couple of options through the Hotel Collection, and compared them to both Expedia and hotels.com. We booked a 2 night stay for both properties. The Hotel Collection actually had a cheaper rate of $772.10, compared to $855.54 found at both Expedia and hotels.com. Then, we also test booked the Douglas Autograph Collection hotel in Vancouver. Here we have a near identical price across the board. So, it's definitely worth looking into what hotels you can book through these 2 options. Hotels seem to be well priced, you might even save money, and you'll get free benefits for doing so. Some people spend their entire year working towards getting distinction status for their favourite hotel rewards program. And for good reason: distinction status comes with its own slew of perks and savings that everyone wants. With The Platinum Card, you not only get distinction status with 1 reward program, but 4, automatically. Shangri-La's Golden Circle Jade membership. an authentic meal prepared by a local chef. All experiences that will make any ordinary trip become unforgettable. Like hitting the links? The Preferred Golf Club will let you access over 60 world class golf resorts. Normally, a membership in the program costs $295 USD, but the fee is waived if you have The Amex Platinum Card. packages that offer discounted rounds of golf for two, for every night you stay. If you want to experience some of the best golfing available, The Platinum Card will open you up to some great golfing experiences. Plus, get discounts when you book a limousine with Carey WorldWide Limousine Service. Available in 550 cities in 65 countries, get a chauffeured professional to drive you around in style and comfort. Just be sure to do check some prices ahead of time, as even with a discount this can still be an expensive ride. Hotels, airports, car rentals… What's missing? For discounts on cruises, book a cruise through the Platinum Travel Service. While most travel booking sites will offer a shipboard credit in the $50 to $100 range, book through the Platinum Travel Service and get up to $300 USD in shipboard credits and other benefits with the Cruises Privileges Program. Note: You cannot combine The Platinum Card credits with other offers. Here are some participating cruise lines and the discounts you can receive. If you've had enough of life in the sky, The Amex Platinum Card gives you a great excuse to head out on the open sea for a cruise by helping you save money while on board. If all those perks weren't enough, this card also comes with a more unique coverage of StandbyMD Travel Medical concierge. This program can arrange telephone consultations, in house visits by physicians and hospital referrals depending on where you are travelling. Plus, get 11 types of insurance coverages to protect you during your travels. For an annual fee of $699, The American Express Platinum Card will let you get some serious red carpet treatment, on top of great discounts and complementary features that are not easy, or affordable, to get elsewhere. Plus, as this card has no income requirements, it's available to anyone who has good credit. If you seek great discounts and preferential treatment, this card will be worth your while. It's certainly a card worth trying – even just for the huge welcome bonus and $200 travel credit.